Ruth Robinson, Board Member, hosted the start of this year’s trip on Sunday, June 1 with a cocktail reception at her flat on Sloane Street. Dr. Susan Whitfield and Dr. Phillip Davies of the British Library joined the ATBL participants. The group toured Dr Johnson’s House off Fleet Street with Deputy Curator Celine Luppo McDaid. The librarian Sarah Cusk was available to answer questions and show us a facsimile of Dr. Johnson’s famous Dictionary. Ms. Cusk is currently involved in a project at Lincoln College, Oxford and is continuing to catalogue works in the House with a view to building on the existing English dictionaries which Johnson referred to when compiling his own. Lunch was at the Royal Garden Hotel Park Terrace Restaurant overlooking Kensington Palace. After the meal guests walked through the Garden for tea and cakes in The Orangery, followed by a Georgians Tour of the Palace with Dr. Lee Prosser, Curator of Historic Buildings, Royal Historic Palaces. Lisa von Clemm, who was waiting to meet up with the group, spied Prince William out walking with Prince George. The day concluded with Christine and Michael Zuromskis’ hosting a reception at their flat in London. Frances Brindle, Director of Audiences, and Joanna Wells, Head of Individual Giving, welcomed guests and gave an overview of work at the BL for the past year. 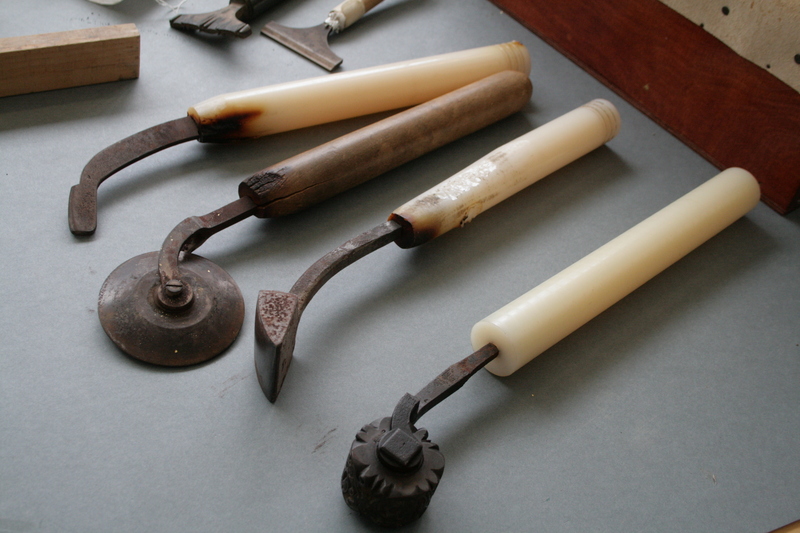 Robert Brodie, Conservation Team Leader, then gave a tour of the Conservation Centre items currently being conserved. Guests divided into two teams to see close at hand how to guild manuscripts and conserve/preserve works. Mark Walton, Welcome Team Manager, then led a tour of the newly refurbished Sir John Ritblat Treasures of the British Library Gallery, including the Lindisfarne Gospels, Beowulf, da Vinci’s notebook, the Diamond Sutra – the world’s earliest dated printed book – and the Codex Sinaiticus – the earliest compete copy of the New Testament. 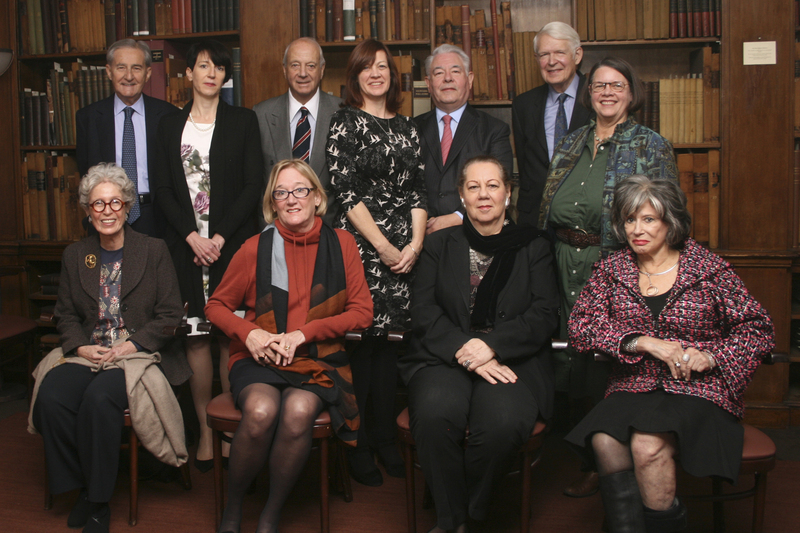 Chairman Baroness Blackstone and Chief Executive Officer Roly Keating joined us for pre-lunch drinks and luncheon in the Board Room, along with curators and administrative staff. The afternoon started with a tour by Adrian Edwards, Lead Curator Printed Historical Sources and Co-Curator of exhibit “Comics Unmasked: Art and Anarchy in the UK,” one of the most popular BL exhibits with 25% of the visitors being new to the library and also significantly younger than those to the previous Georgian exhibition. Kathryn Johnson, Curator of Theatrical Manuscripts, then brought out items being considered to loan to the Folger Library for the Shakespeare 400th anniversary exhibition in 2016. Then down to Fleet Street where Simon Eccles, ATBL Board member and Chairman of the St Bride Foundation, gave us a tour of the building and current exhibit. Built in 1891 as an educational institute and social center, St Bride Foundation provides theater, youth theater, and educational outreach; and is the only library in the UK entirely devoted to the history of printing and allied crafts. 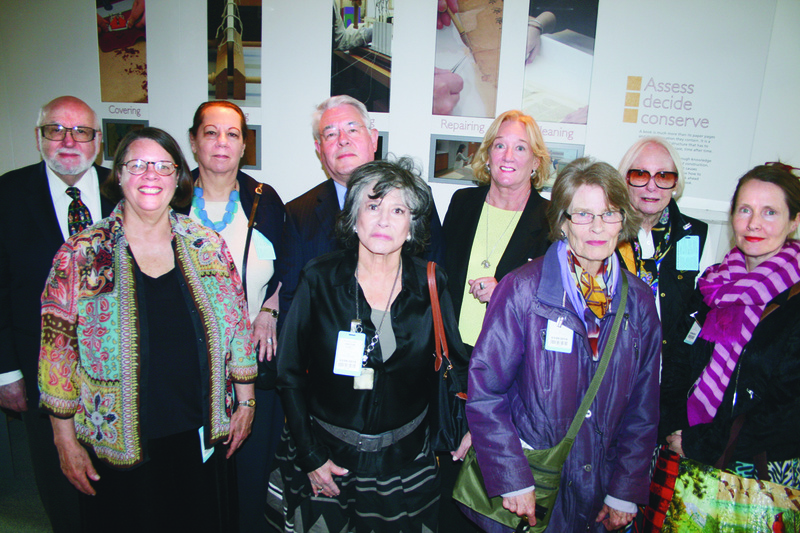 Wednesday guests traveled by Eurostar to Paris, registered at their hotels, and met for an informal dinner. Thursday morning Kara Lennon-Casanova, Director of Development, Bibliotheque nationale de France (BnF), and her assistant Catherine Brial, welcomed us at the Francois Mitterrand site and introduced us to the Head of the Digital Library Arnaud Beaufort who gave us an extensive tour of the virtual and physical technologies of “Gallica,” the magnificent online library. 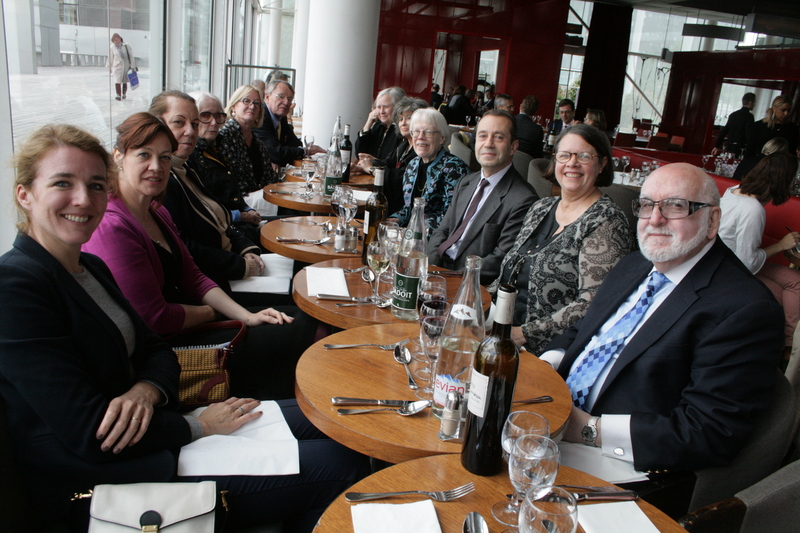 Bruno Racine, Chairman and CEO of the BnF, was our gracious host at lunch where Joanna Wells from the BL, got a chance to interact with her counterparts in development at the BnF. Due to traffic with President Obama, Queen Elizabeth II and others in Paris to celebrate the end of World War I, the group took the Metro to the Richelieu site which was under extensive renovation, including the magnificent Reading Room, alas. 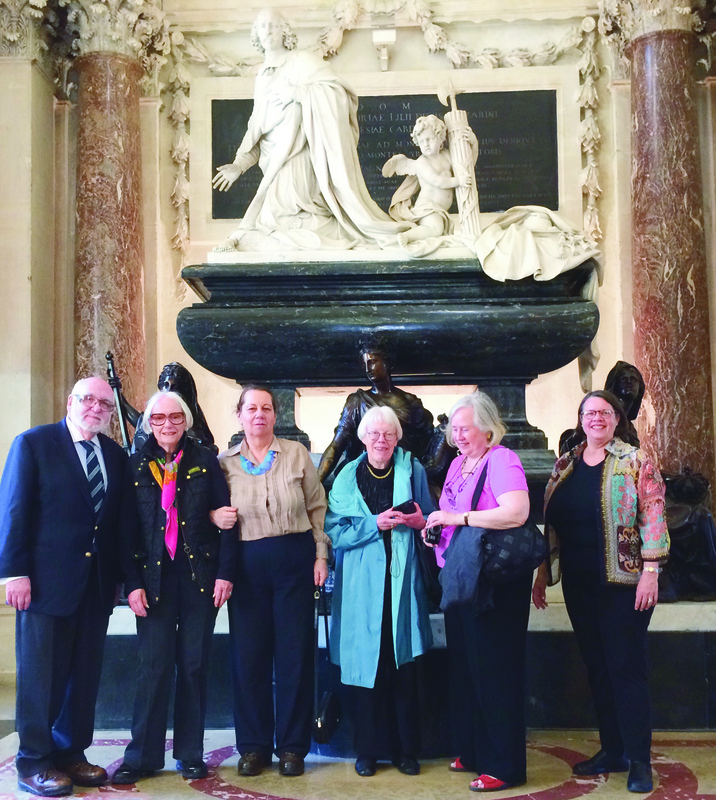 However, Barbara Brejon de Lavergnee and her husband guided participants on a delightful private tour of French drawings of the 17th century. 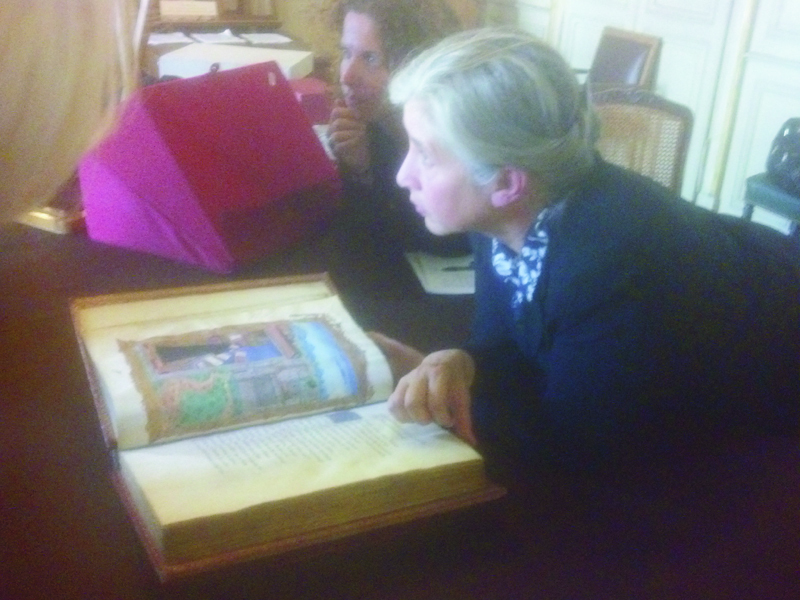 The group was then treated to an exquisite and extended show and tell by Isabelle Le Masne de Chermont (director of the Manuscripts department) in the stunning Galerie Mazarine and Chambre de Mazarin. They saw the Evangile dit de Hurault, the Biblia Sacra dite Bible de Saint-Louis, the Concilium Toletanum; several examples of the Roman de la Rose digitized in Gallica, and the Vie de Sainte Catherine d’Alexandrie. Juliette Jestez, Deputy Librarian, the Bibliotheque historique de la Ville de Paris, welcomed guests Thursday morning at the house/mansion/hotel/museum containing maps, books and prints of Paris. Lunch at Le Café Maley overlooking the Pyramid at Le Louvre nourished and sustained attendees for a walk across La Seine to visit Bibliotheque Mazarine, the oldest public library in France. 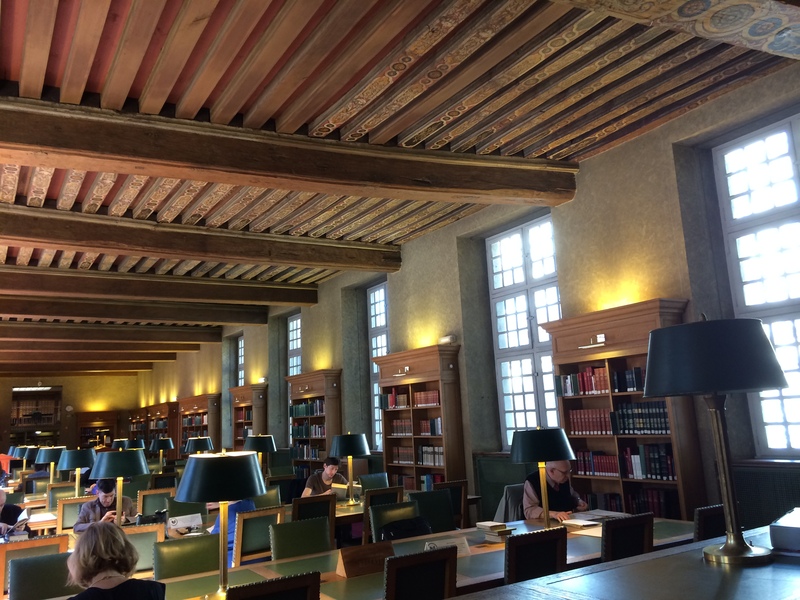 Yann Sordet, Director, went out of his way to show rare and valuable treasures of the library, as well as the adjoining chapel/legislative chamber. The visit to Paris was over too soon and those remaining finished the trip at the neighboring Café des Beaux Arts, hoping to return to Paris. 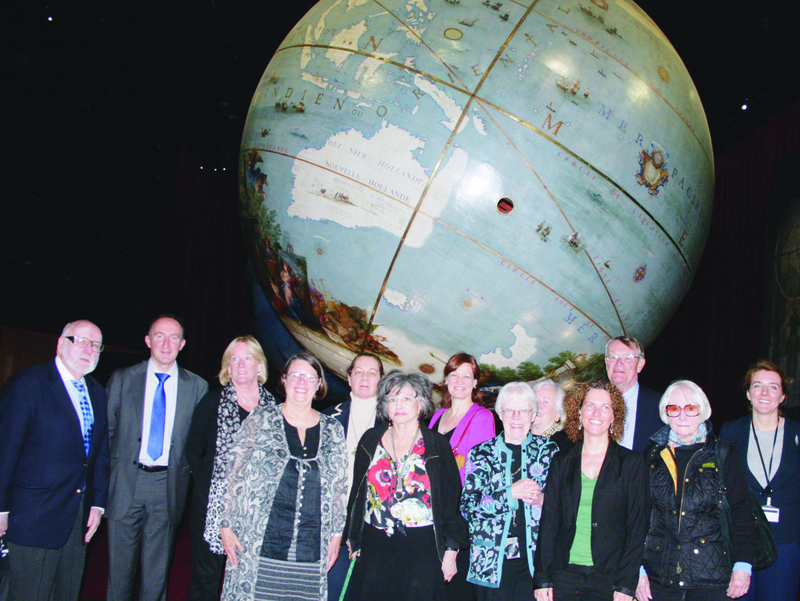 $50,000 towards the international exhibition on Magna Carta to celebrate its 800th anniversary. All four of the surviving copies of the 1215 Magna Carta, two of which are held by the British Library, with the others coming from Lincoln Cathedral and Salisbury Cathedral respectively, will be brought together for an international event at the BL in early March 2015. $20,000 for Discovering Literature, an innovative new web resource designed to revolutionize the way literature is taught, studied, and enjoyed. The first phase, Victorians and Romantics, features over 50 literary works and 1,200 individual collections items explored through 8,000 pages, with 25 accompanying short documentary films shot in locations such as Jane Austen’s House Museum, Bronte Parsonage Museum and Charles Dickens Museum. In 2016 the British Library is planning a major exhibition to commemorate the 400th anniversary of Shakespeare’s death. And $35,000 to the Morgan Library & Museum to underwrite the shipping and courier costs of the British Library loan of Lewis Carroll’s (Charles Dodgon’s) diaries and the Alice’s Adventures in Wonderland manuscript to celebrate the 150th anniversary of the book’s publication. 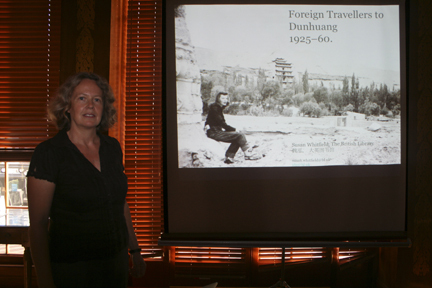 and personal experiences, Dr. Whitfield entranced guests with stories of European visitors to the caves at Dunhuang. 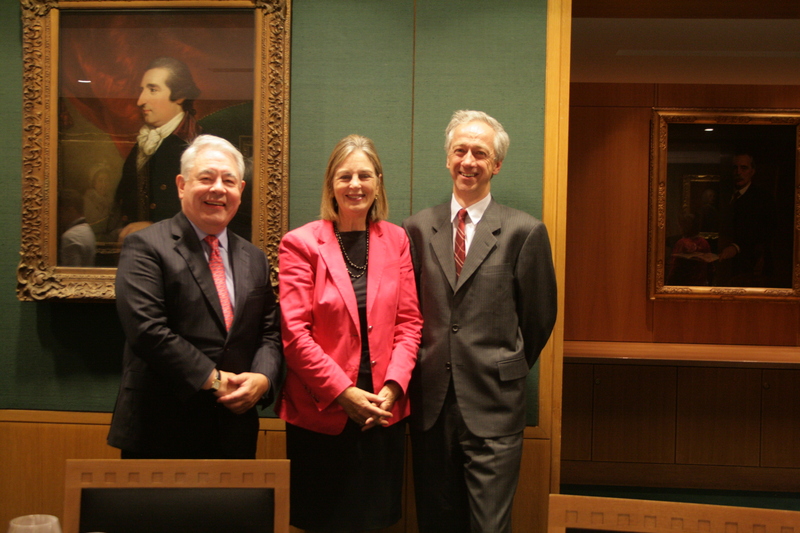 The lecture drew a large crowd, with many first time guests, who had the chance to meet Dr. Whitfield and get to know more about the ATBL’s support of the IDP and the British Library. Chairman’s Council trip to Oxford in 2010. Ms. Thomas told the tale of her unlikely journey from a Massachusetts mill town to these temples of learning, pausing along the way to savor (savour) the pleasurable encounters with fabled book collectors and uncommon readers. 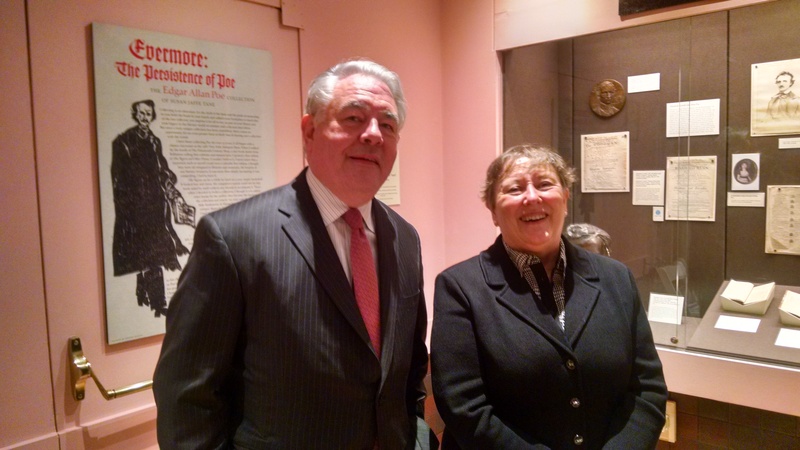 After a lively lecture and Q & A, guests were able to meet and greet Ms. Thomas at a reception in the Grolier Club Library. $50,000 towards the international exhibition on Magna Carta to celebrate its 800th anniversary. All fo ur of the surviving copies of the 1215 Magna Carta, two of which are held by the British Library, with the others coming from Lincoln Cathedral and Salisbury Cathedral respectively, will be brought together for an international event at the BL in early March 2015. $15,000 Shakespeare Exhibition In 2016 the British Library is planning a major exhibition to commemorate the 400th anniversary of Shakespeare’s death. I want to start by thanking ATBL members for their generous support. It is thanks to you that we were able to acquire the exquisite illuminated manuscript of, ‘Le Mystere de la Vengeance’, which is on display in the Treasures gallery for all to enjoy and to fund an intern to work with our curatorial team in the lead up to the Magna Carta exhibition in 2015. In the past four years government funding for the British Library has been reduced by more than 25% and we expect further cuts of at least 5 % a year for the next three years, so your continuing support has never been more important. 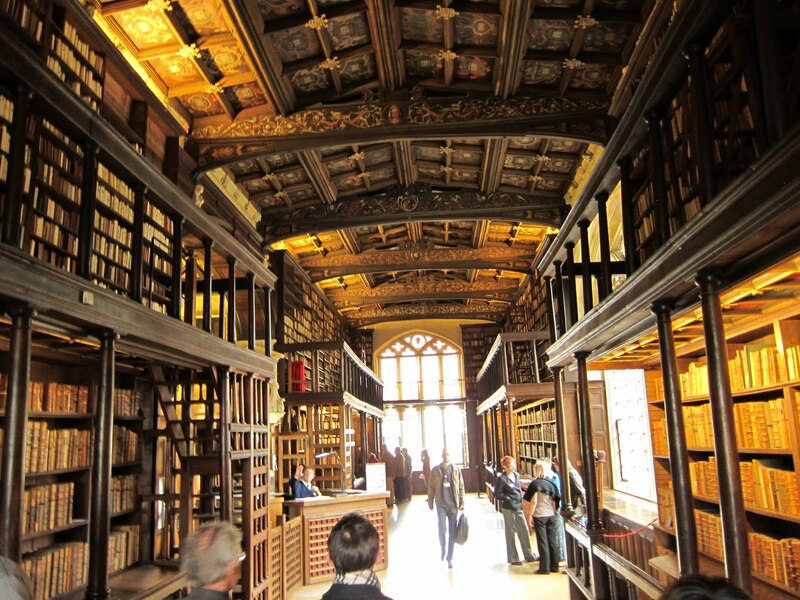 Despite the financial challenges, the library has had an enormously busy year. In 2014 we staged two very successful, but also very different, exhibitions in our PACCAR gallery; Georgians and Comics. As well as catering to our traditional audiences, we want to open up the library and attract new audiences who may not previously have seen its relevance. Comics came in ahead of target and we were delighted to see that 25% of visitors were new to the library and also significantly younger than visitors to the Georgian exhibition. Our new exhibition, ‘Gothics: Terror and Wonder’ builds on this success and opened on the October 3 to visitor and critical acclaim, selling out on the first weekend. The show which traces 250 years of gothic literature beginning with Horace Walpole’s ‘The Castle of Otranto’, includes hand written drafts of Mary Shelly’s Frankenstein and Bram Stoker’s Dracula, right through to the present day and the popular Twilight series. Thanks to these exhibitions and the recent refurbishment of our Treasures gallery, we are experiencing strong growth in the number of public visitors to the library. More than 700,000 visitors came to our public exhibitions and events last year and we are predicting between 800,000 and 900,000 this year. Board of Directors: top l to r: Stamas, (Brindle BL), Sitrick, (Wells BL), Redden, Benjamin, (Anderson ATBL). front l to r: Golden, Zuromskis, Rubinstein, Robinson. The major exhibition charting the history and influence of the Magna Carta opens on the 13 March and will include the American Bill of Rights (from the Library of Congress) and Jefferson’s copy of the Declaration of Independence (from the NYPL). On a somewhat smaller scale, but also very timely, our new temporary exhibition, Lines in the Ice, opens in November. This will explore our fascination with polar exploration and the associated politics that continue to reverberate to the present day. Speaking at one of the events associated with the exhibition will be Ryan Harris who recently discovered, what is believed to be, traces of one of the lost ships from Franklin’s doomed 1845 expedition to discover the North West Passage. 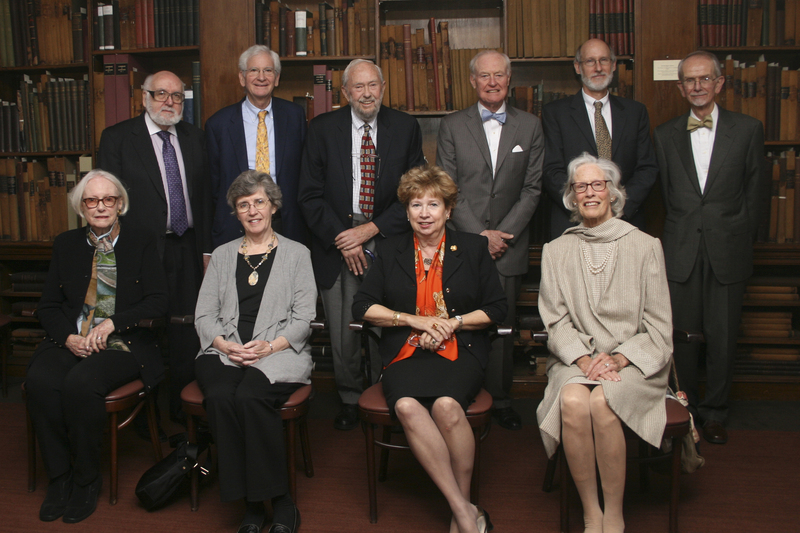 Chairman’s and Advisory Council: top l to r: Winegar, Ginsberg, Stam, Phipps, Bidwell, Ryan. front l to r: Adams, Stam, Shailor, Phipps. The Centre continued to host an extensive range of events and activities, engaging with audiences of scholars, students, teachers and the interested public. Two more Writers in Residence joined the Center in 2014: Olivia Laing and Erica Wagner. Both spoke at Eccles Centre events, and moved steadily towards the completion of their books, respectively on loneliness in the city, and on the building of the Brooklyn Bridge. Meanwhile one of the Center’s first Writers in Residence, Naomi Wood, published Mrs Hemingway to considerable acclaim. Naomi’s novel, written while she was an Eccles Center Writer in Residence, won a Jerwood Fiction Uncovered Prize, was a finalist for the International Dylan Thomas Prize, A New York Times Book Review Editor’s Choice, a Harper’s Bazaar book of 2014 and listed as one of the Daily Telegraph’s best novels of 2014. The Eccles Center helped with two new acquisitions for the Library: The Mike Rose Baseball collection; and a set of maps published by newspapers in the United States to show the contemporary development of the Second World War on various fronts.